hd00:33View from Lombard Street of an empty Cable Car riding down Hyde Street and Coit Tower, Bay Bridge, Church of Peter & Paul, North Beach houses, buildings, Telegraph Hill in the distance. 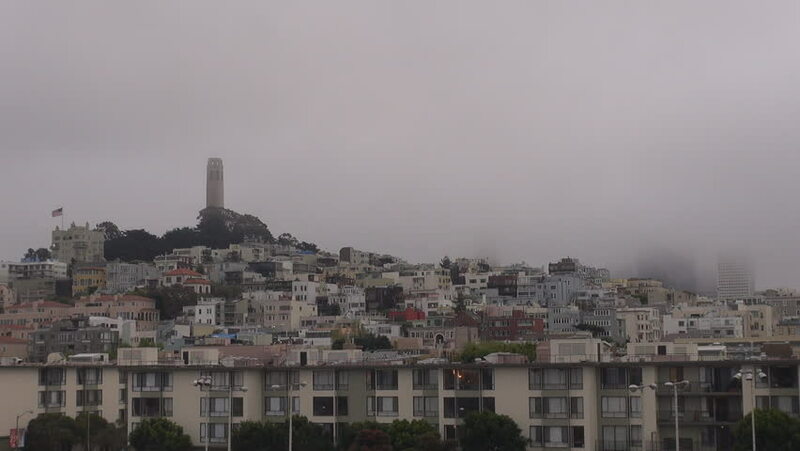 hd00:15San Francisco, CA - June, 2011: Stationary shot of rooftops, Coit Tower, Telegraph Hill with apartments in the background. San Francisco. Day. hd00:48View from Lombard Street of Coit Tower, Bay Bridge, Church of Peter & Paul, North Beach houses, buildings and Telegraph Hill.